Keynote: Independent Curriculum Group Retreat For Academic Leaders. Asilomar, CA: April 19-21. Tessera PLC Users Conference. New York City: May 4-5. “Social and Emotional Learning 2017: What do we know and where are we going?” Featured speaker, Western Association of Boarding Schools Annual Conference. San Francisco, CA: May 6. Feature speaker, Independent School Association of the Southwest (ISAS) Division Heads Conference. Santa Fe, NM: June 12. “Leading SEL Continuous Improvement Using Measurement and Assessment in Your School.” 2017 National Principals Conference. Philadelphia, July 9-11. NAIS Annual Conference, February 2016: 4 sessions. Featured (Keynote) Presenter, Independent Curriculum Group Retreat for Academic Leaders (WEST), Santa Fe, NM, November 4-6. Featured (Keynote) Presenter, Independent Curriculum Group Retreat for Academic Leaders (EAST), Rhode Island, October 21-23. Faculty workshop, Laguna Blanca School, October 9, 2015. Board Retreat; Gunston Day School (MD), September 25-26, 2015. Detroit Country Day School (MI) Faculty Program: Project Based Learning 101. June 11, 2015. Laguna Blanca School (CA) Faculty Program, April 24. Louise McGhee School Board Retreat Program, and Faculty PD session, April 21-22. “Data Informed Decision-making: Using the MSA as a Vehicle for Continuous Character Education Improvement.” INDEX Mission Skills Assessment conference. Chicago, April 9-10, 2015. Project Based Learning Introduction: Middle School Faculty Program, Detroit Country Day School, March 9, 2015. The Evolution of Standardized Testing – Yesterday, Today and Tomorrow. Innovations in Testing 2015, ATP. Palm Springs, March 1, 2015. co-presenter with Keith Wight, SSATB. National Association of Independent Schools (NAIS), February 25-27, 2015. 3 Sessions: Future of Admission Assessment (3 hour workshop) with the SSATB Think Tank; Board, not Bored-Board Meetings That Really Work (with Zack Lehmann, Headmaster, The Hill School); and Pros, Cons, and Uses of Next-Generation Assessment Tools with Amada Torres (NAIS). “Measuring Your School’s Value-Added.” CAIS (CA) Head-Trustee Conference, Los Angeles, January 24, 2015. “Can you and should you measure character?” Educon conversation, Science Leadership Academy, January 24, 2015. Middle School Faculty Program, Detroit Country Day School, December 8, 2014. TABS, December 4-6, 2014. Balancing the Portfolio: the Future of Admission Assessment (with the SSAT Think Tank on the Future of Assessment) and Board not Bored – Board Meetings That Really Work (with Zack Lehmann, Headmaster, The Hill School (PA). Assessment 101. Faculty program, The San Francisco School, November 18, 2014. (Keynote) STEM and STEAM: 21st century learning for all: Northern Utah Librarians Annual Conference. Ogden, Utah. November 12, 2014. (Keynote) Data and Assessment and Engaging Your Board in Understanding and Leading Change. Independent Curriculum Group Meeting, West Greenwich, Rhode Island, October 24, 2014. Middle School Faculty Program, Detroit Country Day School, October 6, 2014. (Keynote) What’s Changing, What’s Necessary: Guiding Schools in Transformational Times. 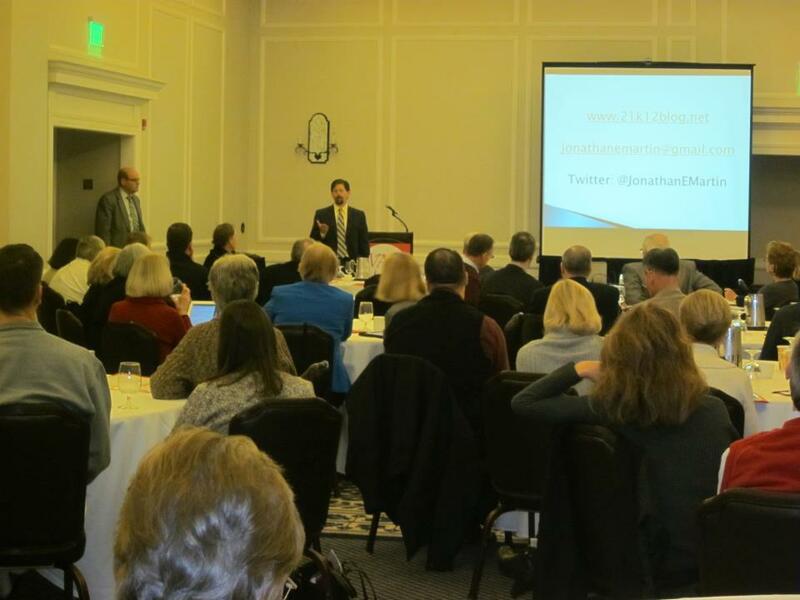 Connecticut Association of Independent Schools Trustee Conference, September 27, 2014. Think Tank on Future of Assessment Program, Secondary School Admissions Test Annual Meeting, Orlando, September 17-19. Non-cognitive and Character Assessment in Admissions. ISAS Admissions Meeting, San Antonio, September 12, 2014.
International Benchmarking and Ripley’s Smartest Kids in the World book. University Preparatory School, (WA). August 29, 2014. Assessment for, of, and as Learning. Faculty Program, Tabor Academy (MA). August 28, 2014. Non-cognitive Assessment in Admission. Admission Directors Meetings in St. Louis, New Jersey, Atlanta, and Toronto, April and May, 2014. Deeper Learning & International Best Practices. Index Group Elementary School Heads and Admissions Directors. April 11, Chicago. You Can’t Measure That! Measuring what Matters in 21st century learning. 3 hour workshop, NAIS Annual Conference 2014, Orlando CA, February 26, 2014. Evaluating Non-Cog qualities in Admissions. 1 hour session, NAIS AC 2014, February 27, 2014. Deeper Learning: Assessment and Instruction International Best Practices. Two day program for Faculty and Board of Trustees, New Canaan Country School, (CT). February 21-22. 21st century Assessment. Bay Area Teachers Development Consortium Administrators Cohort, January 31, Los Angeles. 21st century Learning Board Retreat. The Hill School (PA). January 17-18. 21st century Admissions Assessment. TABS Annual Conference, Boston, December 6-7, 2013. 21st century Admissions Assessment: Evaluating the Non-Cognitive. Hawaii Association of Independent Schools Admissions Conference, October 2, 2013. Future of Admissions Assessment Book Discussion Workshop. Secondary School Admissions Test Board Annual Meeting. Philadelphia, September 19, 2013. Project Based Learning and Web 2.0 tools. Summit School (AZ) Faculty Program, September 11, 2013. Project-Based, Inquiry Driven Learning. Thacher School (CA) Faculty Program, August 23, 2013. Integrating Technology and Web 2.0 tools into Learning. Faculty day-long PD program, St. Francis Episcopal School (TX), August 19, 2013. Faculty day-long workshop, 21st century, Inquiry Based Learning, Norfolk Collegiate School (VA). August 15, 2013. 21st century teaching and Assessing. Faculty day-long PD program, Parish Episcopal School (TX). August 16, 2013. PBL and Digital Citizenship workshops; Featured Presenter, Education in a Changing World Conference, MonteVista Christian School (CA), August 6. 21st century Assessment: Featured presenter, Division Heads Conference, Independent School Association of the Southwest: June 2013. Workshop on 21st century Assessment. CAIS (California) Assessment Task Force. May 10, 2013. Featured Presenter, Plenary Session, NWAIS (PNAIS) (Northwest Association) Heads Conference. 21st century tools and techniques for assessing learning. May 7, 2013. Keynote. Project-Based Learning: Educating Innovators in the 21st century. Connecticut Private School Summit, May 6, 2013. Featured Presenter: 21st century Admissions Assessment. WBSA Western Boarding Schools Association, May 3, 2013. Project Based Learning Faculty Training Workshop: MCVS, Watsonville, CA. April 25-26. Assessing Non-Cog Attributes in Admissions: Workshop for ACIS, (Colorado Association) Admissions Directors, April 19, Denver. Faculty Workshop on 21st c. Project-Based Learning. Winchester-Thurston School (PA), April 1. Performance Task Assessment. Session at High Tech High Deeper Learning Conference April 5-6. Faculty Presentation on 21st century Learning: St. Francis Episcopal Day School, Houston TX, March 26. Seven Steps for Better Educating Future Innovative Engineers: Webinar for Simple K12, March 7, 4pm ET. Bringing Innovation to School: Empowering Students to Thrive in a Changing World. NAIS 2013 Annual Conference Philadelphia, one hour session, February 28, 2013, with Suzie Boss and Brett Jacobsen. Leading Schools Forward with High Quality, 21st century Project-Based Learning. NAIS 2013 Annual Conference Philadelphia, three hour workshop, February 27, 2013 with Suzie Boss and Mike Gwaltney. Blogging 101 for School Heads & Division Leaders. Webinar for Whipple Hill, (Full webinar and slides available at link) February 12, 2013, 2pm ET. The Flipped Classroom: Best Ways to Transform Students into Active Learners: Webinar for Progressive Executive Education. February 6, 2013. Performance Task Assessment: An Introduction. Simple K-12 Webinar, February 4, 2013. Assessing Higher Order Thinking Skills; Digital Citizenship (with Mike Gwaltney); and Professional Development to Support Blended Learning (panel). (3 sessions) Online Education Symposium for Independent Schools, 2013: January 31-February 1, 2013. Performance Task Assessment & the CWRA: Better Goal Posts. An Educon Conversation. With Pam Moran: January 27, 2012. Next Generation Assessment and Schools of the Future. 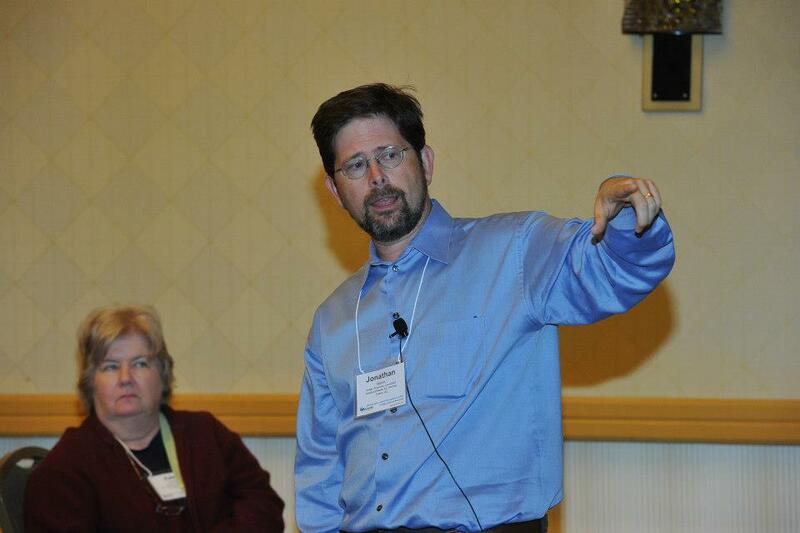 ACIS, Association of Colorado Independent Schools, Heads Conference, January 18, 2013. Faculty Training on 21st century learning and technology integration, St. John’s Episcopal School, Dallas Texas, January 7, 2013. A Dozen Things Our Schools Must Do to Remain Compelling and Relevant in the Coming Decade. Simple K-12 webinar, November 5, 5pm Eastern. Highlighted Speaker (4 sessions on Innovation and Project-Based Learning), ISACS Annual Conference: Innovation, Thinking Out of the Box, November 2012. Leading a Learning Community. Leadership 2.0 – A Collaborative Learning Opportunity for School Leaders, an Online MOOC. October 23, 2012. Performance Task Assessment: An Introduction. Simple K-12 Webinar, September 24, 2012. 21st century learning and the Progressive Education tradition. Park Day School (CA), Parent Association: September 2012. 21st century Learning. Tandem Friends School (VA), Full-day (7 hour) Faculty workshop: August 2012. Keynote: Innovative Schools, Innovative Students and Innovative Uses of Technology for Becoming a “School of the Future” ISAST, Independent School Association of the Southwest Technology conference, April 19, 2012, Albuquerque, NM. Innovative Uses of Technology in 21st c. Learning & Becoming a “Teacher of the Future.” Colegio Peterson, Mexico City. April 27, 2012. Innovative Schools, Innovative Students. National Association of Independent Schools, (NAIS), Annual Conference, Seattle, February 25, 2012. Slides & videos from the presentation. Open Computer Testing: True 21st century Assessment. NAIS AC 2012, Speed Innovating Session, co-presenter with Scott Morris, Ph.D. slides & video from presentation. Leading Learning Forward: Steps Toward Becoming a School of the Future. Presentation slides. Virginia Association of Independent School Winter Heads’ conference. January, 2012. Assessment 2.0 & the Commission of Accreditation’s Criterion 13. Canadian Association of Independent Schools, Annual Heads and Board Chairs Conference, Montreal, Canada. October 15, 2011. Reverse Instruction & the Flipped Classroom. Ignite Session, EdLeader21 annual conference, Dallas, October 4, 2011. Blogging as a School Head . SSATB Annual Conference, September 22, 2011, Phoenix. Leading in 21st century Education, co-presenters, Ken Kay, former President, Partnership for 21st century Skills; Mark Hale, Head, Greensboro Day School (NC); Mike Davis, Head, Colorado Academy. NAIS Annual Conference, February, 2011. Session post. Related post, Seven Steps in Leading 21st century education. CWRA: True 21st century Assessment, co-presenters, Chris Jackson, Program Administrator, CWRA;Kevin Mattingly, Lawrenceville School (NJ). NAIS Annual Conference, February 2011. Session liveblog. Blogging Heads, co-presenters, Josie Holford, Head, Poughkeepsie Day School (NY) and Michael Ebeling, Head, Summit School (NC). NAIS Annual Conference, February 2011. Session Liveblog. Keynote. Innovative Schools; Innovative Students. . NCAIS Innovate (North Carolina Association of Independent Schools) , April 7 & 8, 2011. Raleigh, NC. Post with slides and applications. Keynote. Innovative Schools; Innovative Students. Keynote. VAIS Annual Technology Conference, April 9. St. Anne’s-Belfield School, Charlottesville, VA. Post with slides and applications. Measuring and Assessing What Matters Most and Laptops in Learning: Leveraging the Synergy of Web 2.0 & 21st century Skills. Workshops, Arizona Assoc. of Ind. Schools Annual Teacher Conference, January 3, Tesseract School, Phoenix. Keynote: Leading in Learning as Lead Learner (Resources/Links; Talk); Next-Generation Assessment: Measuring What Matters (Resources/Links). NYSAIS Education and Informational Technology (NEIT). November 11 & 12, 2010. Agenda/Program. Post About. Keynote. AZ Assoc. 0f Independent Schools, New Teacher Conference. . October 18, 2010. Remarks and resources. Aligning Data with Mission. US Department of Education, Office of Non-Public Education, Annual Private School Leadership Conference, September 22, 2010. Agenda. Post . Presentation. Transformative 21st c. Education: A Results Oriented Approach. Rotary Clubs in Tucson (several), Winter 2009-10. Post. 21st Century Teaching & Learning. Arizona Association of Independent Schools, Annual Teacher Conference, January, 2010. 21st Century Teaching & Learning. Independent School Association of the Southwest (ISAS), Head’s Annual Meeting, November, 2009. Post.